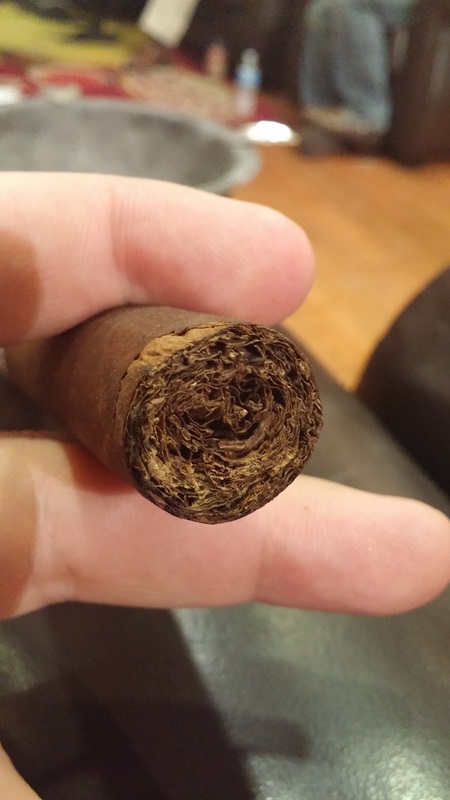 Appearance (0-20): The first thing I am struck by is the deeply colored maduro wrapper on the outside and how well it contrasts with the band. The orange background on the band first perfectly against it. 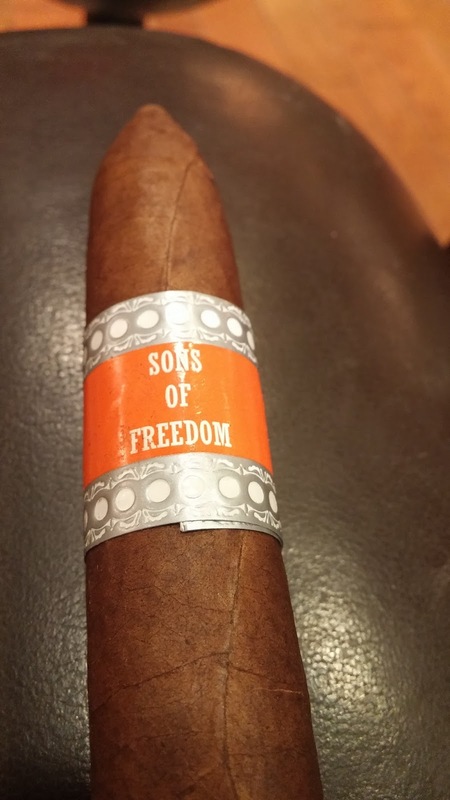 Down the center is the name, “SONS OF FREEDOM” in white block lettering, and it is flanked by a silver and white pattern. The band itself is slightly askew. Overall it is a pretty solid look, though it may be a little too understated in terms of attention to detail. The label being off is a simple fix. And perhaps if the rings of white inside the silver were punched out, it would give the smoke just a little bit… more? Construction (0-20): The construction is simply a marvel on this one. Everything about it is right. There are minimal veins, and the ones that do exist are small. It’s tightly wrapped and from an initial feel, it’s really well packed. After snipping off the end, there was literally no loose debris. With how tightly things were packed, I was a little worried that the draw would be tight – but it wasn’t. It was perfect throughout the entire smoke. It burned literally razor sharp the entire length of the stick and impressively the ash held for over half of the stick before falling off. 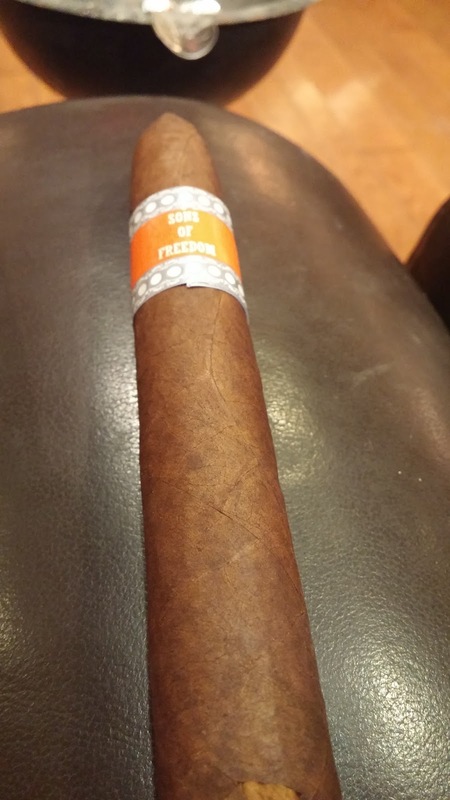 Strength (0-20): It’s listed as being a solid medium strength cigar, and I have to say – it’s pretty damn close. For the most part it’s a slight bit over the medium range but teeters back to medium pretty consistently. Flavor (0-20): One of the biggest and most immediate flavors that hit the palate is that of coffee and a dark cocoa. It’s really bittersweet but surprisingly good. There’s a little nuttiness and earthiness that tones the bitter flavor just right. Not all that much changes in the second third of the smoke, other than adding just the slightest bit of pepper on the retrohale. The final third is again much of the same with some deviations in the amount of spice. Value (0-20): $5.50 puts us in to the category where it has the chance to actually be a steal, considering much of the competition in that range comes across as solid but not great. Additional Notes: Paired with water. Provided by Casa de Montecristo - Chicago. 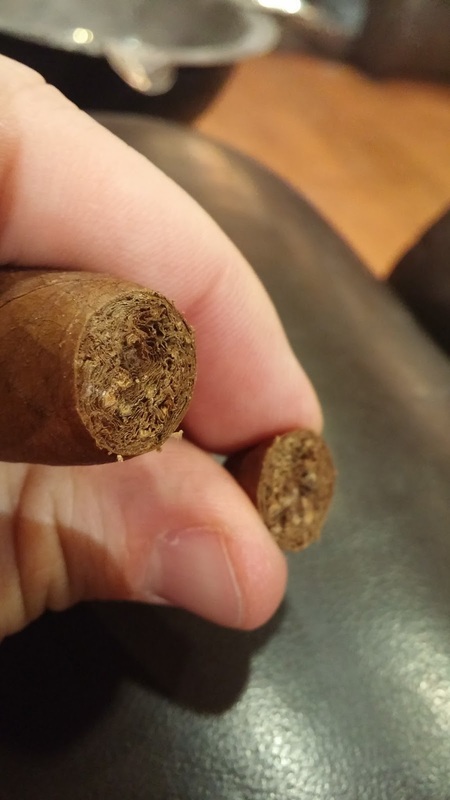 Please note, the small issue at the foot of the cigar was my fault, as I dropped it. I know… shame on me. Overall (0-100): So let’s begin with the things I am impressed by – the construction is what cigars should strive to be. Everything is on with it – the draw is perfect, it burns razor sharp, the ash holds. The value is also a really strong point, along with the fact that the strength being right where it should be. It is really well balanced. I wish they would have put a little more time into the appearance. While the stick itself wasn’t poorly done by any means, nor is the band – the band could use a little work. Really it’s the only thing keeping that score from being slightly higher. But that being said my biggest issue is the flavor. It’s good. Not great, but good. The smoke has a very nice base of coffee and cocoa, and complimentary flavors of nuts, earth, and pepper. But after that… there is kind of a lack – no real complexity. 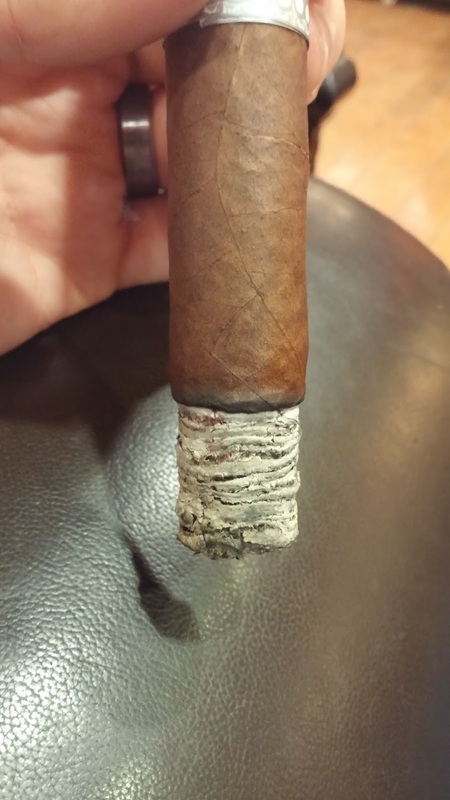 At the pricepoint where it sits… it’s still really solid for a straightforward smoke.